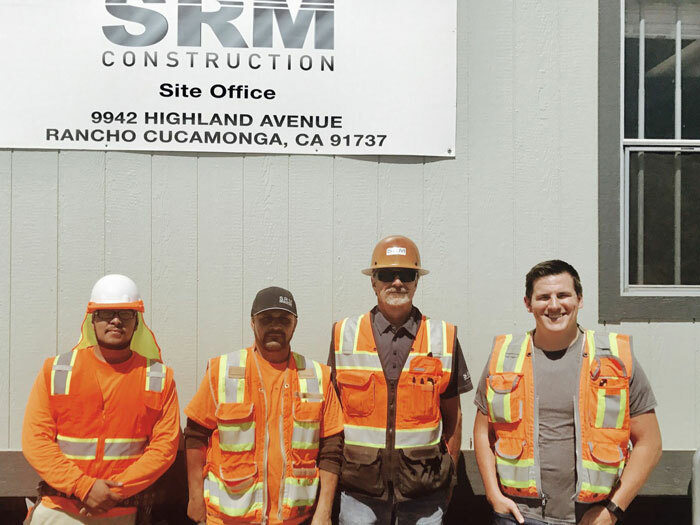 As progress continues to be made at our project in sunny California, we’d like to introduce you to the site team of Merrill Gardens at Rancho Cucamonga! From left to right, we have George Ramirez (Laborer), Robert Sanchez (Site Foreman), Mike Heck (Project Superintendent) and Ben Robles (Project Engineer). And the latest news from the site – the first concrete footings were poured last Tuesday! For more updates regarding this project, please visit our News webpage.